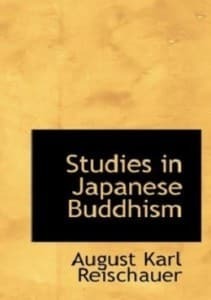 Studies in Japanese Buddhism. When Buddhism was introduced into Japan in the sixth century it had passed from India into the lands east of the Caspian Sea and then turned to the east, spreading through China and Korea, and all the time gathering up all that it found on its way. For example, its canonical writings by this time had assumed the dimension of a good sized library containing upward of 5000 books. The contents of these books, written during a period of a thousand years and by peoples of various stages of civilization, are naturally very varied and often flatly contradictory even in matters fundamental. For Buddhism and Japan has perhaps more in it that is contradictory to the religion of the Buddha than what is in agreement with it. In fact, Northern Buddhism, considered from almost any standpoint, embraces a wider latitude of teachings and practices than any other religious system. This book seeks to describe the complexity and history of Japanese Buddhism. This book seeks to describe the complexity and history of Japanese Buddhism. sacred books. I hope you help me in this way. I have published a book on Buddha’a life and Ideas. My book name was ” In looking for sky’s roots ” . Thank you, could we post your book here on holybooks.com? Nam-lin Hur has described the support of the Soto for the occupation of Korea in the beginning of the 20th century.